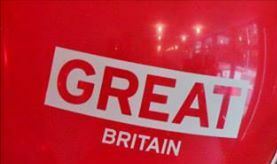 The British Embassy Wants You! The British Embassy wants to do more to engage alumni in the US. The British Embassy and its consulates around the United States host many events from receptions with Downton Abbey cast members to policy discussions with UK Ministers. They would like to inform alumni of UK universities in the US of these events and are asking alumni to share contact information with them. They've created an online form for this. This information will also be shared back to UK univerisities for verification. Follow this link to view the online form and share your information if you would like to: http://ukinusa.tumblr.com/ukalumni.